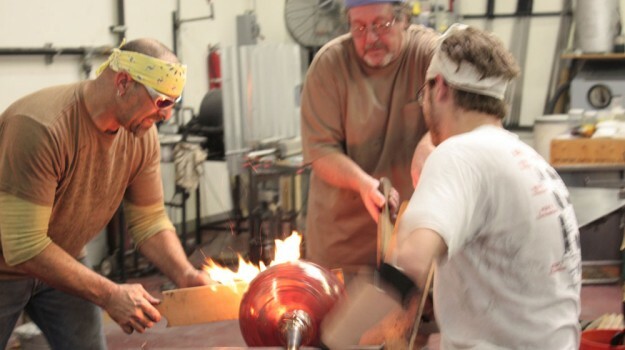 Domsky Glass is well known for our blown glass and glass fusion work, but we also do quite a bit of custom metal fabrication. Artist Larry Domsky recently completed a set of double arched doors for a restaurant at the Gold Coast Hotel and Casino and the detail is remarkable. 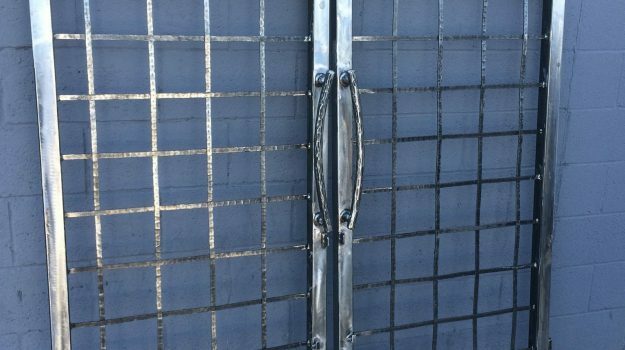 If you would like more information on our metal fabrication work, please CONTACT US. 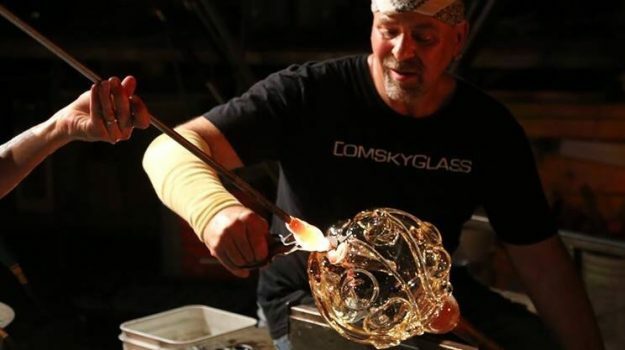 A new blown glass series entitled, "Pod Lights" is currently underway and artist Larry Domsky will be sharing his work in progress during Domsky Glass' March Open House, Saturday, March 3, from 6pm to 9pm at the Domsky Glass studio. Guests of the March Open House will be able to get a first-hand look into the creation of Pod Lights. Then, when Domsky Glass opens its doors to the public for its April Open House, this beautiful new series will be on display. For more information about the March Open House, please visit https://domskyopenhouse.eventbrite.com. Stay tuned for Larry's posts about his newest works and projects.